3M 1080 Satin Black, Gloss Black, or Matte Black, includes emblems. Others finishes available at additional cost. Your choice of any wood stain color with a clear satin or gloss seal. Full Front – $1,300 – includes front bumper, fenders, full hood, and mirrors. All edges wrapped where possible. 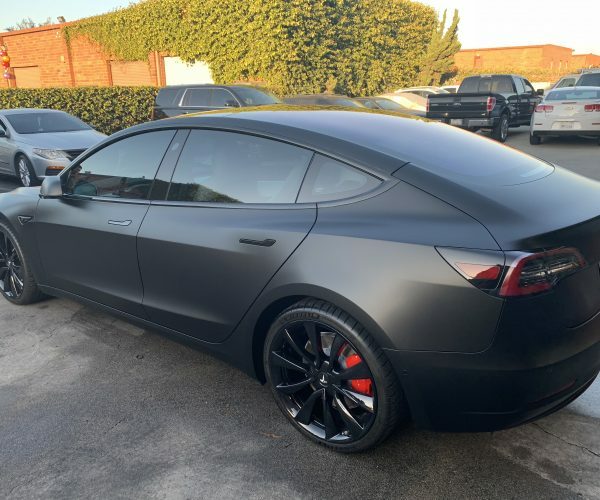 Full Wrap – $4,500 – Every panel is completely wrapped (except inside door frames and trunk). 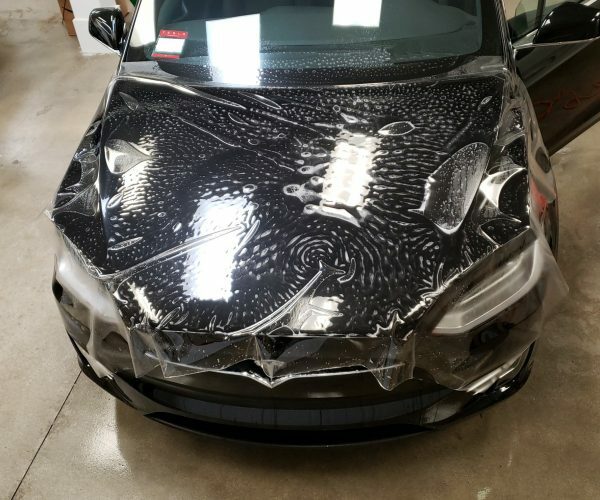 Paint protection film (also known as PPF or clear bra) offers the best protection against rock chips, scratches, road debris, bird droppings, tree sap deposits and more from damaging your car’s paint. We offer two different film options to protect your car: SunTek Ultra – the clearest film, keeps original gloss and shine of your paint. SunTek Matte – transforms your car’s look to give you a stylish matte finish. Both films offer self-healing and self-cleaning properties to protect your car! Paint protection film will go a long way to ensure your car will not need to be repainted from all the miles of driving. Full Tint – $580 – Includes windshield, driver and passenger windows, back windows, and rear window. Rear window is one piece. The SunTek CIR Series is the ultimate in tint technology and the most premium, top-performing offering. Nano-ceramic technology enhances solar performance and infrared rejection, maintaining a fully non-metal construction for no signal interference with on-board or portable electronic devices. Offered in a range of 8 darkness levels, all non-reflective, and with a true black hue. Passengers and interiors are protected from 99% of UV rays, and vehicle cabin comfort is enhanced, with exceptional heat and infrared rejection. The Gtechniq brand aims to product the most innovative paint care products in the world following the discovery that other so-called “long-life” coatings simply did not come anywhere close to their marketing claims. Gtechniq smart surface science combines the latest in fields such as nanochemistry and supramolecular chemistry, with rigorous real-world and laboratory testing. 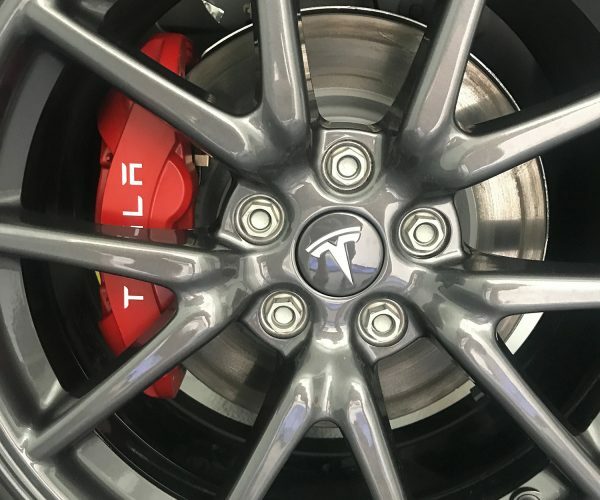 If you want the best protection for your Model 3, then look no further. Gtechniq coatings are based on science and innovative materials. They have been designed to deliver the maximum long-term visual impact while protecting paint surfaces against the elements and day-to-day use. Powder coating creates a hard finish that is tougher than conventional paint. Powder coating is the most popular choice for coating of metals such as automobile and bicycle parts. Chrome Delete – $580 – Includes all exterior chrome pieces, window trim, side mirrors, side cameras, and front and rear emblems. 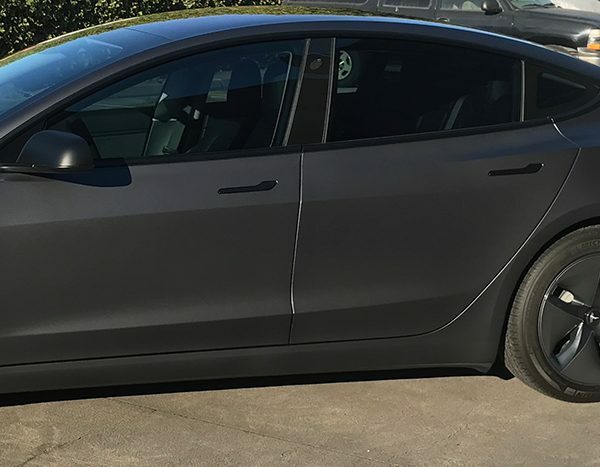 Colors to choose from: Satin Black, Gloss Black, or Matte Black. For an additional cost you may choose 3M 1080 Brushed Black or Carbon fiber, or just about any finish in the 3M 1080 line. All vehicles go through an extensive decontamination wash prior to your service. Starting with a pre-soak and deionized water pressure rinse, followed by soap foam agitated with a microfiber mitt. It is then rinsed again with deionized water, lubricated, claybarred, and chemical stripped of fallout and iron particles. After a final foam soap and rinse, the vehicle moves on to the next steps in the service. When your vehicle comes in for any paint protection film, ceramic coating, or window tinting service, we include interior cleaning. This includes thorough vacuuming of all crevices, and cleaning of dash, console, and panels. Your vehicle will look as good on the inside as the outside. 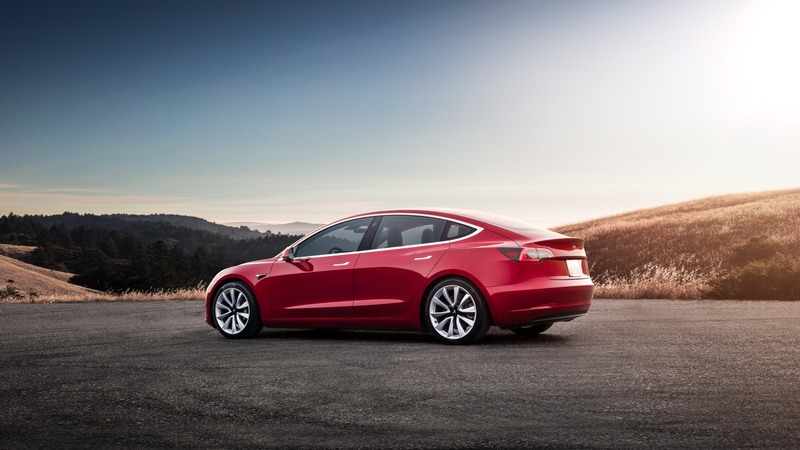 Every new vehicle regardless of make or model has tiny scratches also known as swirl marks. These are caused by improper washing techniques. Your vehicle was subject to many of these washes either after production or by the distribution center. They wash the vehicles regularly so when you pick it up it appears shiny and new. 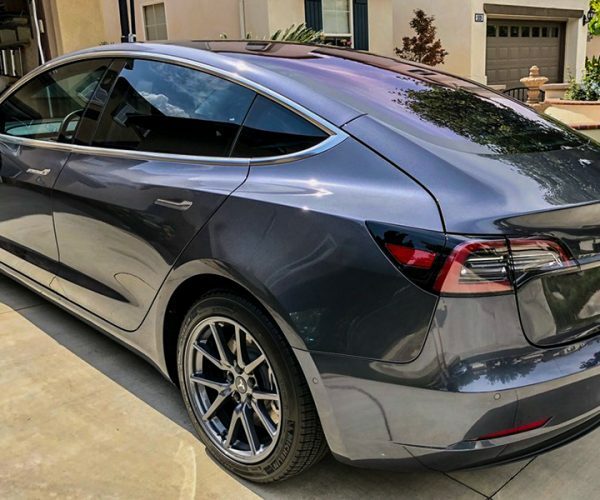 Teslas are manufactured in California, so generally speaking a one step paint correction is enough due to less travel and less time at the distribution centers. The Group Buy Rebate applies only to those who have purchased the full Package. In most cases, the full package includes; Full front paint protection film, Ceramic coating, and full vehicle window tint or the equivalent of other items. Group Buy Rebate is $300.